SEO (Search Engine Optimization) is essential for every blog and website. Never talk to end importance of SEO. Without SEO of you blog, you can't success. If you want to make money with your blog, first you do your blog's SEO. Wordpress or Blogspot Blogger every website's need SEO. Blogspot is a free web blogging flatfrom. If you use any blogspot web then you have to need add some SEO Meta tags, those help to your for more traffic form search engine. Using those tags you can get more successful results to your site. Ok, now lets see those SEO Meta tags for blogger. Yes!! Its work properly. 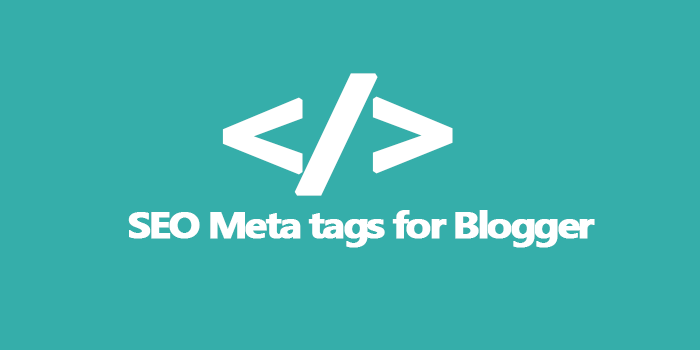 I suggest everyone for use those meta tags for blogger. Those SEO Meta tags are All in One SEO Packs. Thanks for the taking time share your knowledge with us. Hello bro, thanks for this great guide. My blog is now optimized! Thanks for you nice tutorial. :) I follow you everyday.